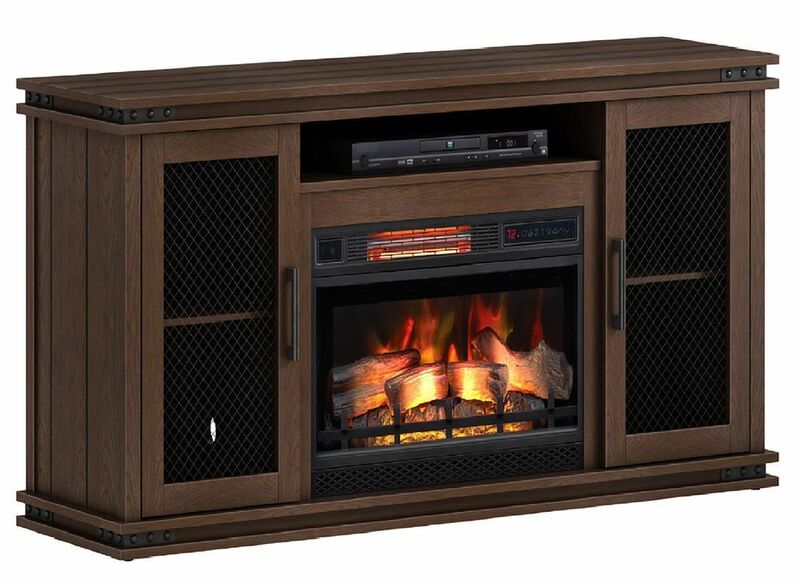 Add an inviting warmth into your family room with the 63 Inch Edgebrook TV Stand with Fireplace Insert. Bathed in a stunning ash espresso finish that blends beautifully alongside existing decor this TV Stand brings a beautiful aesthetic along with essential features including cabinets and media storage. The included fireplace insert helps to maintain the air's natural humidity, resulting in a heat that doesn't dry out the air. The layered flame effect successfully creates a truly realistic fire experience displayed on a log set and ember bed. With 125 selectable effect options, the flame effects can be used with out without heat. 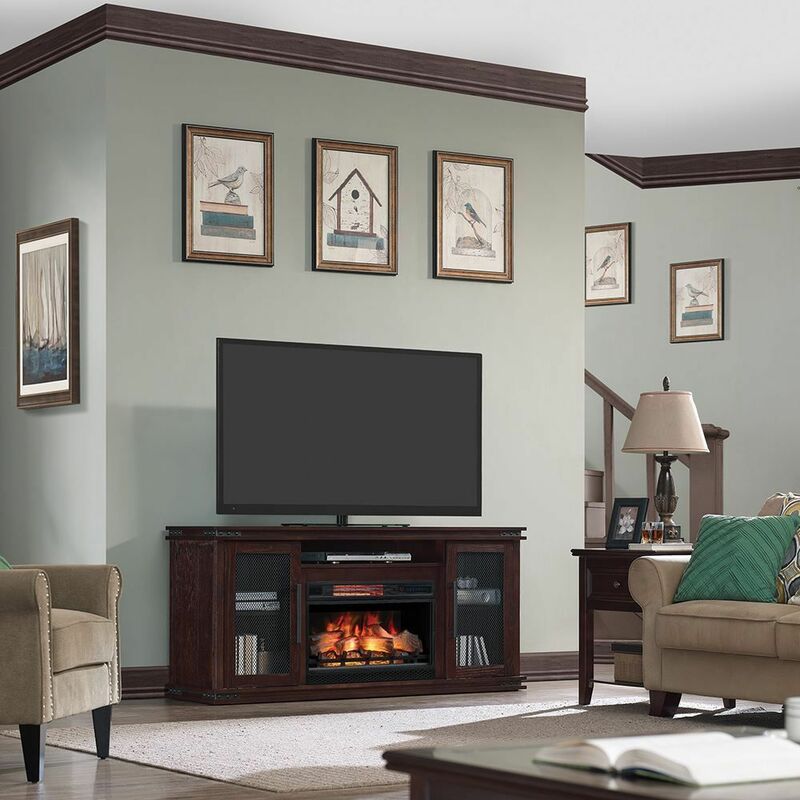 Add an inviting warmth into your family room with the 63 Inch Edgebrook TV Stand with Fireplace Insert.